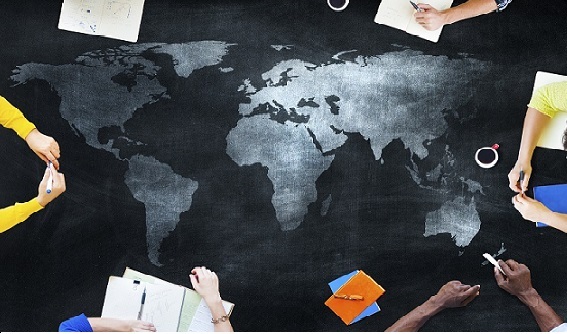 Organized by a group of faculty and students from the College of Education at the University of Washington (UW), this seminar is an invitation to reflect on the way global dynamics affect the agenda setting in education worldwide. The main goal of this seminar is to make visible the intersections between globalization and education which influence the ways in which educators, including those at the UW, are teaching and doing research. At the same time, the launching of the second CIRGE book “Globalization and its Impact on the Quality of Doctoral Education” will be part of this seminar. The seminar is organized by the Teaching Education Research Inquiry (TERI) group, the International of Educators of the College of Education (IECE), and CIRGE. 10.20 – Discussion: Where do globalization and education intersect with knowledge production? 11.15 – Book Launch: “Globalization and Its Impact on the Quality of Doctoral Education“, edited by Maresi Nerad & Barbara Evans. 12.00 – Faculty and Student Panel “Whose knowledge counts (in the field of education)? Dr. Vanessa Andreotti, professor of the University of British Columbia will present about the intersection between globalization and knowledge construction process in Education. In her talk, she will also refer to the results of her project “Ethical Internationalism in Higher Education in Times of Crises”, which examines how transnational literacy and notions of global citizenship and social responsibility are constructed in internationalization processes of higher education in different countries. Dr. Matthew Sparke, professor of International Studies, Geography and Global Health at the University of Washington, will comment on the book “Globalization and Its Impacts to Doctoral Education” and its contributions to the field. Dr. Sparke is author of Introducing Globalization: Ties, Tensions and Uneven Integration (Wiley, Oxford: 2013), and In the Space of Theory: Post Foundational Geographies of the Nation-State (University of Minnesota Press, Minneapolis: 2005), as well as of over 75 other publications in the field of globalization and education. Dr. Walter Parker is professor of the College of Education and the Political Science Department at the University of Washington. Dr. Parker is an expert in the civic development of youth and social studies curriculum and instruction K-12. Dr. Jondou Chen is an Associated Researcher at the UW College of Education with special focus on the program of Education, Equity and Society. Dr. Chen research interests involve the intersection of adolescent, moral, and cross-cultural development as well as neighborhood effects on development. MJ (Mee Joo) Kim is a Ph.D. candidate in Higher Education at the UW College of Education. She has been working for a 5-institution, 5-year, NSF-funded project that investigated to understand the impact of belonging and other connections to community on academic engagement for undergraduates in science, math, and engineering (STEM). Her current research interest revolves in assessing institutional strategies to embrace global consciousness among college students majoring in STEM disciplines. Hwayeon Myeong is a M.Ed student in Multicultural Education program at the UW College of Education. She is interested in how multicultural education in the United States can be applied to the education in reunified Korea. She is the founder and the president of The Human rights In North Korea (THINK), a registered student organization at UW. Why to organize a seminar about globalization and education? Researchers have widely acknowledged that the agenda on education is part of the global and international dynamics. However, this “global” component become imperceptible when discussions about education focus largely on the United States. Students, faculty and staff of the College of Education at the University of Washington are attempting to articulate a space in which the intersection between global and local education becomes visible. “Education is an applied field and we know that our main focus is and has to be local. Along with that, we (a group of students and scholars) are immensely interested in understanding how that local agenda of education is influenced by global dynamics, and that what we do here has an impact for the rest of the world”, explains the PhD student Roxana Chiappa who is one of the organizers of this event. Gathering faculty, students and the local communities to learn more about and to reflect on educational systems in other countries is the primary goal of this seminar, as well as to have a space to reflect how the ways of teaching and creating knowledge may impose dynamics of power for countries and societies that see the United States as a model in education. First CIRGE's book: Toward a Global PhD?